Since January 2012, Mountain Pet Rescue has saved 2000 dogs. What does that look like? It looks like Jinks. Found in a ditch by an Oklahoma truck driver who initially thought he was dead, Jinks was in bad shape. He was starving, dehydrated, and nearly frozen. 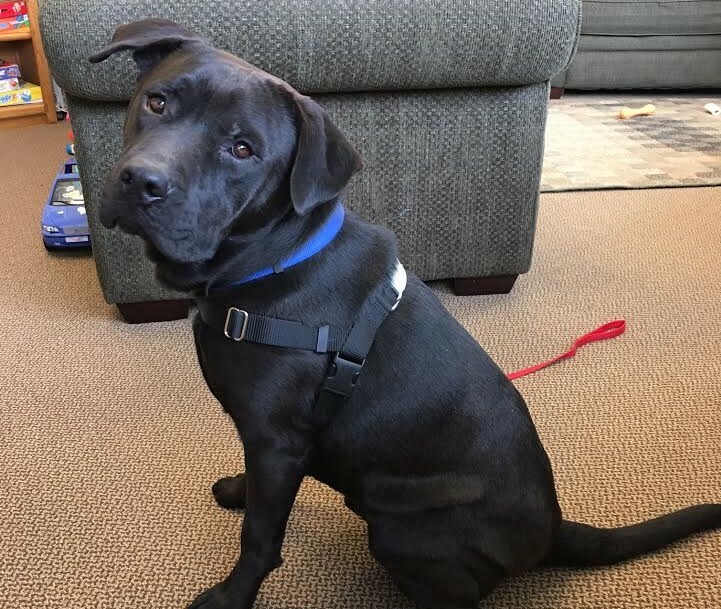 Barely able to lift his head, this sweet dog gave the slightest tail wag, asking for help. The kind man took him home, fed him, and helped him to thaw out in a warm bath. 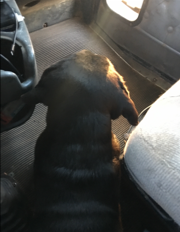 After a few days, Jinks had recovered enough for his rescuers to realize Jinks was a great dog. Unfortunately, the timing was not good, as this family had just adopted two dogs a week prior. 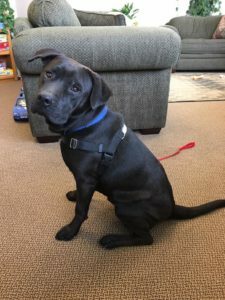 Contact was made with Mountain Pet Rescue, and Jinks was on his way to a wonderful life. 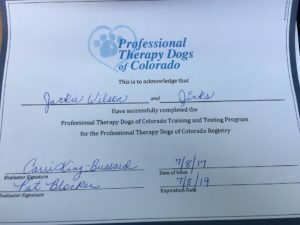 From those difficult beginnings, Jinks gained confidence, and now goes to work with his amazing adopted mom, where he is a certified therapy dog. When clients become anxious or tearful during a counseling session, he puts his head on their laps or feet to reassure them. He has even put his paws on their laps and licked their faces to help ground them. He is amazing! What does 2000 dogs look like? It looks like animals coming back to life after harrowing experiences. It looks like being reborn. It looks like your dog. We know you love at least one dog. Please show that love by making a donation to Mountain Pet Rescue on CO Gives Day.